Booking Self Storage has never been so easy. RapidStor was the first online move in tool for Self Storage. With over 10,000 online move ins completed, we know you want to customise RapidStor with the look and feel of your Self Storage business. Our technology, developed by Self Storage experts, lets you customise the look and feel of RapidStor to the way you want to do business. 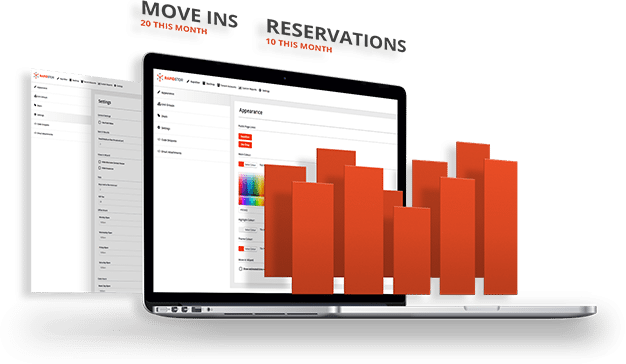 Empower your customers to rent space online today. RapidStor was the first online move in tool for Self Storage and with over 10,000 online move ins completed, we know you want to customise RapidStor with the look and feel of your Self Storage Business. Our technology developed by Self Storage experts, lets you customise the look of RapidStor to the way you want to do business. Empower your customers to rent space today. Let’s face it – you want to take charge of you Self Storage online rentals. RapidStor is highly configurable. All correspondence emails to the customer (reservation, move-in confirmation etc) will now CC the site’s email address instead of BCC. This will help triage issues with the site not getting the copy. Create deals and rent spaces online, 24/7. 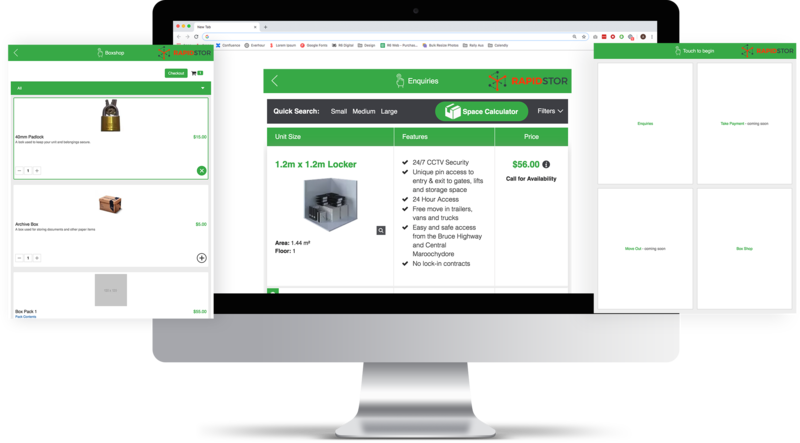 RapidStor is configurable with SiteLink Web Edition and can connect to your business’ look and feel on your website, giving your customers the capability to book Self Storage online today. The best time to sell boxes and packaging to storers is at the time of their move in. You can list available merchandise in the box shop and offer your storers the ability to pick up their purchases or arrange delivery. Boost profits from the first move in. Storers can pay for their account, as well as view their receipts and rental history, at a glance. Let clients handle minor changes themselves, such as updating their address and contact details, so you can focus your time on the important aspects.